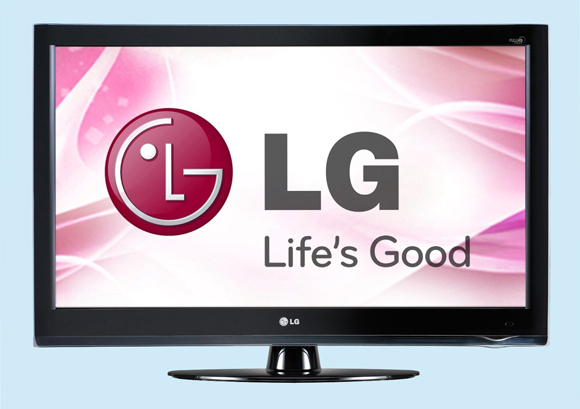 The Plex app is made available through the Smart TV alliance for LG televisions. The 2013 "Netcast" and 2014 "WebOS" based models are supported as indicated. You can find the list of Plex app supported LG models on the Smart TV Alliance website. With the Plex app installed on your LG Netcast/WebOS TV models, you will be able to access any of your computer stored videos or movies on large-screen TV via the Plex app. For people who own large collection of movies or TV shows on Blu-ray/DVD disc, it would be a good option to stream them to LG TV via Plex app for watching with your family members. To get Blu-ray/DVD streamed on LG Netcast/WebOS via Plex app, you will need to perform a conversion from Blu-ray/DVD to LG Netcast/WebOS Plex app best compatible format. Here, you can get the job easily done with our highly recommended application Pavtube BDMagic for Windows (best Blu-ray Rippers Review)/Mac, which helps to rip both Blu-ray/DVD to LG Netcast/WebOS Plex app best compatible MKV container with H.264 video encoding and AAC container with aac audio encoding. If the output video does not fit with your LG TV display aspect ratio, you can adjust the output aspect ratio with our program's built-in aspect ratio settings function. If there are black edges around the video due to incompatible aspect ratio settings, you can remove the black bars with the program's "Crop" function. Besides Blu-ray or DVD disc movies, you may also want to stream your online downloaded movies or camera/camcorder/DVR recorded video footage on your computer to LG TV via Plex app, just download Pavtube Video Converter Ultimate for Windows/Mac to get full control of all your media on LG TV via Plex app. How to convert and stream Blu-ray/DVD movies to LG Netcast/WebOS via Plex? Step 1: Load Blu-ray/DVD disc into the program. Launch the program on your computer, click "File" > "Load from disc" to load Blu-ray or DVD disc from optical drive. When both Blu-ray and DVD exists, the software will load DVD. Step 2: Specify LG Netcast/WebOS TV Plex app supported format. 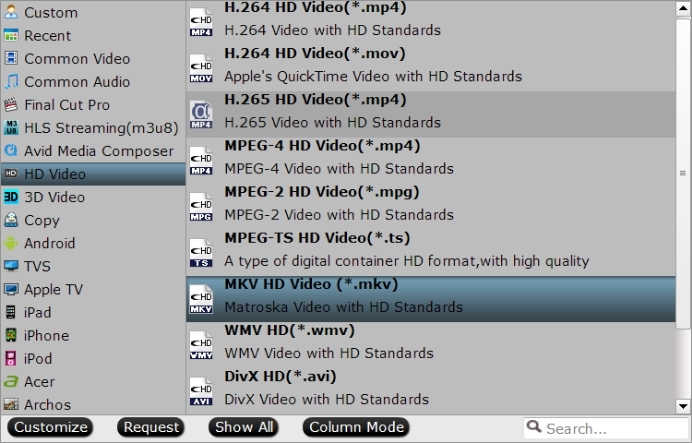 Click "Format" bar, from its drop-down list, scroll download the main category list on the left to "HD Video", from its extended list on the right, select LG Netcast/WebOS TV Plex app best compatible "MKV HD Video (*.mkv)". 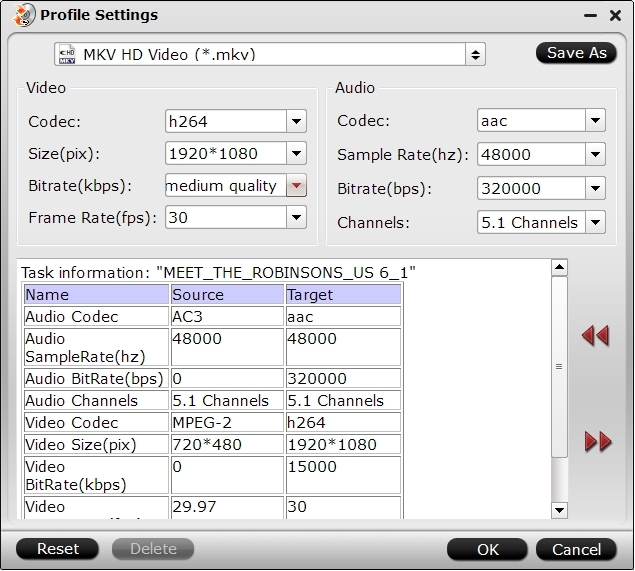 Step 3: Change output video codec and audio codec. Click "Settings" to open "Profile Settings" window, click "Video codec" to select "H.264", "Audio codec" as AAC for LG Netcast/WebOS TV Plex app. Open "Video Editor" window, under "Crop" tab, click "Advanced Mode" in the right panel, then select "Keep Ratio" option in the left panel, from "Display aspect ratio" drop-down list, keep the cropped aspect ratio such as 16:10, 16:9, 5:4, 4:3, 3:2, 2:1, etc from the aspect ratio lists to let it fit your LG TV models. Go back to the main interface, click right-bottom "Convert" button to start Blu-ray/DVD to LG Netcast/WebOS Plex app compatible format conversion process immediately. When the conversion is done, click "Open Output Folder" button to pop out the folder with converted files, then add converted files to Plex for streaming to LG Netcast/WebOS TV.